Porch Outfitters is a full-service home improvement company that can complete every aspect of a kitchen and bath remodeling project in your Bluffton home. 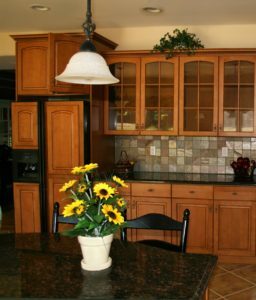 Since 1987, we have completed countless remodeling projects while maintaining an exceptional reputation thanks to our commitment to providing superior products, installations, and customer service. We’ll take the time to learn about what you envision for your dream kitchen and bathroom. We’ll also provide you with expert advice, taking into account your unique needs and budget. We’ll present you with a complete design so that you can easily see what your remodeled spaces will look like. This will give you the chance to make any adjustments before construction begins. We are a full-service home improvement company that can handle every aspect of your projects, including any required plumbing and electrical work. In fact, we can even build a brand-new bathroom and kitchen as part of a complete home addition. And, all of our work is completed by our own team of experts – not subcontractors – to ensure it meets our high standards for quality workmanship. At Porch Outfitters, we only install top-quality products from trusted industry names, ensuring excellent performance and longevity. What’s more, we back our kitchen and bath remodeling projects with a lifetime warranty to protect our customers’ investments. To learn more about how we can help improve your home in Bluffton, contact us today.